SubliJet-HD FLEX is the only dye sublimation ink set available that delivers superior coloration, the ability to reach colors well outside the traditional four-color gamut, AND true fluorescents – all in a single eight-color ink set. Working exclusively with the Sawgrass VJ 628 printer – winner of SGIA’s 2015 Product of the Year for Roll-to-Roll Dye Sublimation on Metal – SubliJet-HD FLEX offers traditional CMYK colors, for outstanding color quality in high speed and everyday applications. The set's orange and blue ink cartridges allow sublimators to greatly expand their color gamut to offer products for color-critical applications, such as specific team and brand colors. Finally, its fluorescent yellow and pink inks bring true fluorescent coloration into the mix to add excitement and high-visibility to applications. In addition to this versatility, SubliJet-HD FLEX inks are also G7 compliant. Sawgrass is one of the only sublimation companies in the world have attained G7 Master Qualification for matching color and producing consistent print quality on various media. This means that SubliJet-HD FLEX users who employ Sawgrass color profiles for the VJ 628 printer can count on color consistency from proof to print, as well as repeatable vivid colors across substrates. The result is a more efficient and profitable production process due to reduced waste and increased time designing, printing and pressing. Ray Weiss, SGIA’s Digital Imaging Specialist, coordinated the yearly awards program and said that this year’s competition was tight. More than 70 companies competed in the 2017 Product of the Year Awards, submitting 222 entries over the competition’s 49 categories — the largest field of competitors in the awards program’s history. 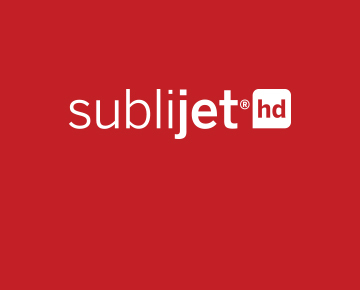 SubliJet-HD FLEX is one of five formulations in the family of SubliJet-HD sublimation inks for Sawgrass’ Virtuoso HD Product Decorating Systems, featuring SG400, SG800 and VJ 628 printers. SubliJet-HD’s CMYK and Pro Photo sets received two SGIA Product of the Year awards in 2015 for their performance in the Digital Inks (with the SG800) and the Roll-to-Roll Dye Sublimation on Metal for Ink (with the VJ 628) categories. To learn more about SubliJet-HD FLEX inks, visit SawgrassInk.com.